We have recently launched a brand new online ordering system, named the ‘HomeView Door Designer’. This modern approach to home improvements allows us to offer a heightened degree of practicality, with customers able to request a quote and process an order any time of the day and anywhere with an internet connection. This designer has been intelligently created to offer a range of benefits to both installers and customers alike, serving as a fantastic and portable sales tool for Endurance installers. Members of the Endurance Preferred Installer Network will be able to offer a quote and handle an order with the customer at their home. For increased clarity, the price is displayed as the specification of the door comes to fruition. The ‘HomeView Door Designer’, consists of 6 simple steps that lead the user to their perfect door: ‘Door Type’, ‘Frame Shape’, ‘Door Style’, ‘Colour’, ‘Glazing’ and ‘Finishing’. Each stage is accompanied with visual aids to ensure the finished product is presented clearly and accurately. This way, the homeowner can see exactly how their finished door will look. Once the homeowner has confirmed the door style and the price, installers will then be able to give a price via email or print and can easily switch the quote to an order for processing. We also offer multiple sales teams logins for different users, alongside retail and actual pricing structures for enhanced functionality and practicality. 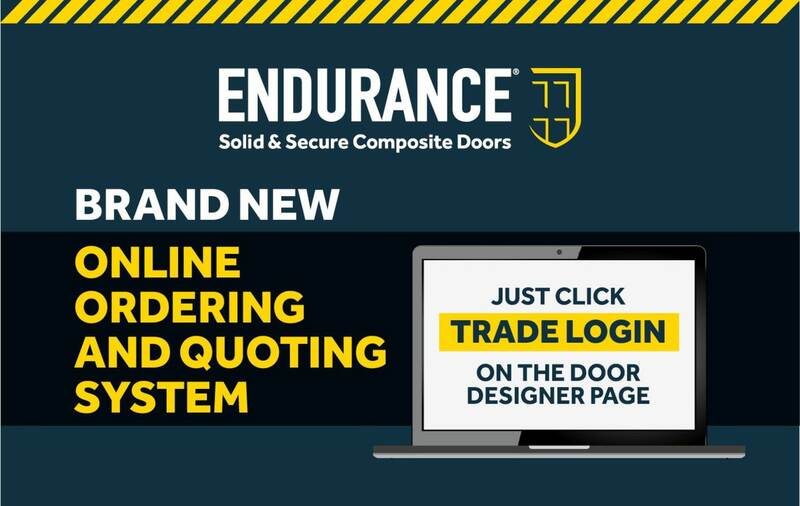 This impressive online ordering system works seamlessly across the whole of Endurance’s product range, which means it won’t matter if your customer is looking to purchase a solid core composite door from the ‘Classic Collection’, ‘Urban Collection’ or ‘Country Collection’. To help complete the experience, the HomeView Door Designer allows homeowners to take a picture of their home and then impose their dream door onto it for the perfect visual aid. They then have the facility to change and swap the door style in accordance with their tastes. 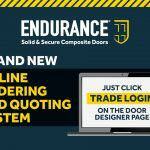 As the Endurance range of composite doors is so vast, and the customisation options that they offer so comprehensive, making it easy for the homeowner to choose is very important. With this door designer, homeowners will be able to construct the right door for their home in a way that suits them. What more could they ask for? If you’d like to know more about the HomeView Door Designer, or how Endurance can help you with your business, get in touch by calling 01652 659259 or by visiting our online contact form.